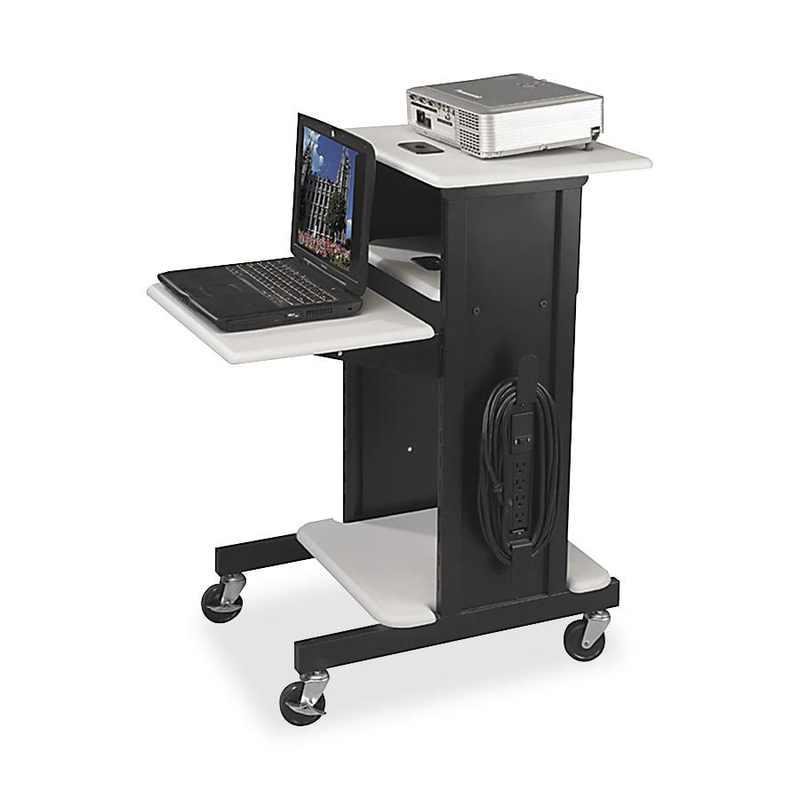 Presentation cart holds all equipment on three sturdy shelves that adjust in 1-1/4"" increments. 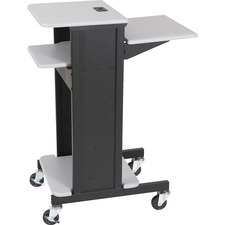 Handy unit moves on heavy-duty 3"" casters (two locking) for easier movement between rooms. 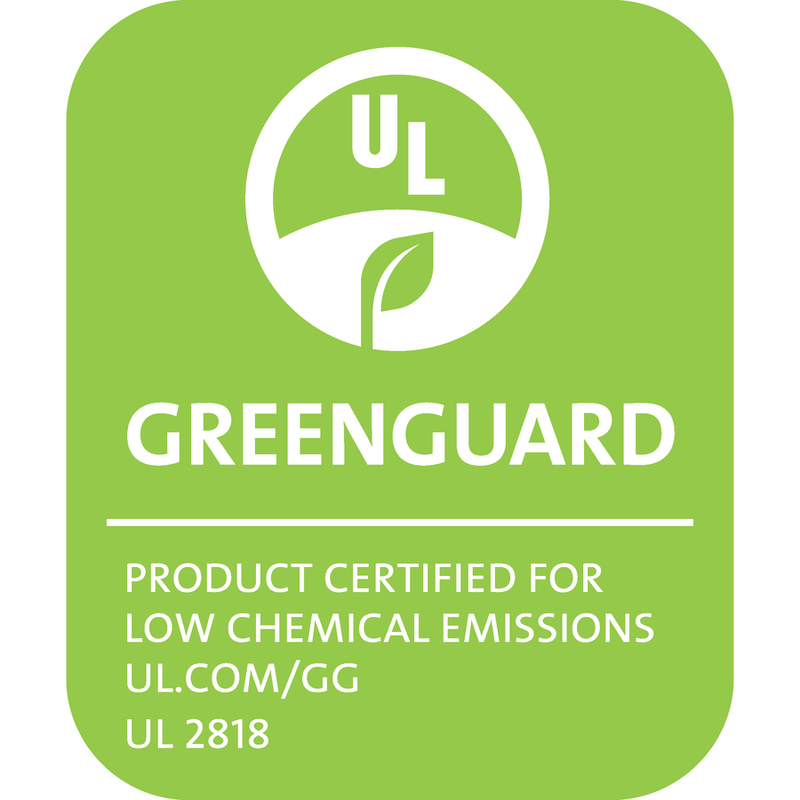 Grommets keep cables managed between shelves. Top shelf measures 18"" wide x 16"" deep. Laptop shelf measures 18"" wide x 14"" deep, and bottom shelf measures 18"" wide x 18"" deep. Optional electrical assembly (sold separately) includes four UL-CSA approved outlets, 25' cord and cord winder. Tops are gray, and the frame is black.